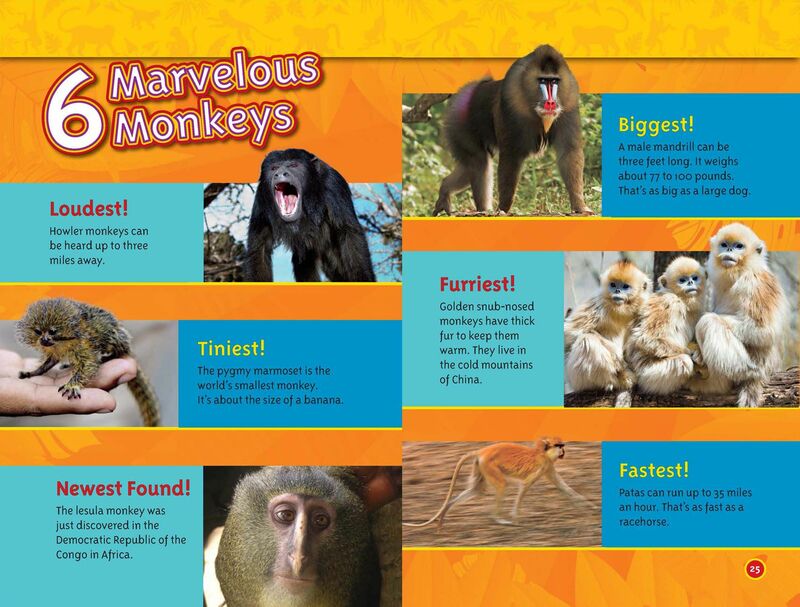 Learn about the loudest, tiniest, biggest, and fastest monkeys. Republished with permission from National Geographic Readers: Monkeys. Copyright (c) 2013 National Geographic Society. This content is an excerpt from the National Geographic Reader series. Check it out!